Please select an option Individual locking Equimats 5ft 11ins x4ft (1.8m x1.22m) 20mm EQUIMAT locking mat individual 20mm thick — £84.36 Individual locking Equimats 5ft 11ins x 4ft (1.8m x1.22m) x 28mm EQUIMAT locking mat individual 28mm thick supa soft — £111.61 Please select an option first. Individual Locking Equimats 5ft 11ins x4ft (1.8m x1.22m). 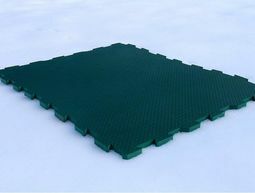 Two of these mats turns 12 x 12 kit into 16 x12 kit. 20 or 28mm thick, green in colour.